This contribution analyses the influence of long-term climate variability on changes in the agricultural cycle in the Czech Lands over the course of the past five centuries. Series of crop- and grape-harvest (for wine) dates were compiled from rich documentary evidence for the periods of 1517–1542, 1561–1622, 1770–1815, 1871–1910 and 1971–2010. Two model areas were selected: the Louny region in north-west Bohemia and the Elbe region in central Bohemia. Fluctuations in selected agricultural series are compared with those expressed in temperature, precipitation and Standardised Precipitation Evapotranspiration Index (SPEI) series for various combinations of months. The basic statistics for the agricultural series are presented, and these are correlated with climatic variables. The earliest starts for harvests occurred in the recent 1971–2010 period and the 1517–1542 period. Harvest dates were comparatively delayed in the three remaining periods. Air temperature, also combined with the drought effect as expressed by SPEI, played a significant role in the agricultural cycle in all periods analysed except 1871–1910, in which temperatures were notably dominant as quite wet patterns prevailed. Summer precipitation played a significant role in the first three periods analysed. Correlation coefficients of agricultural series with temperatures indicate increasing weight for this factor over the course of the centuries. 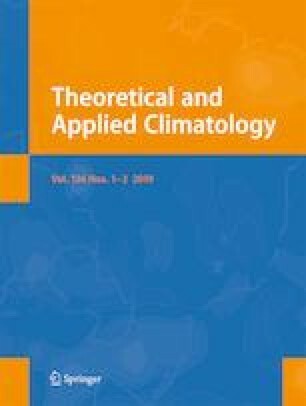 Possible effects of uncertainties in agricultural and climatic data in the results obtained are discussed, as well as the relationship of the agricultural cycle to climate variables and its broader context. RB, MM, LŘ, MT and PD acknowledge the support of the Czech Science Foundation to the project no. 17-10026S as well as of the Ministry of Education, Youth and Sports of the Czech Republic within the National Sustainability Program I (NPU I), grant number LO1415. TK was supported by the Czech Science Foundation, research project no. P405/12/P715, affiliated with the programme of Charles University Progress Nr. Q03 ‘History – Key for the Understanding of the Global World’. Tony Long (Svinošice) helped work up the English. [AS1] Masaryk University, Institute of Geography, Brno: Czech historical-climatological database. [AS2] Moravský zemský archiv Brno, fond G 138 Rodinný archiv Berchtoldů (1202) 1494–1945, inv. č. 851: Hausner, Š.: Tägliche Witterungs-Beobachtungen des Buchlowitzer Pfarrer Simon Hausner von Jahren 1803 bis 1831 excl. [AS3] SOkA Louny, fond AM Louny, sign. I E 10: Registra špitální. Iste liber pro hospitali et curia allodiali deputatus inicium sui cepit post exustam hanc urbem etc.